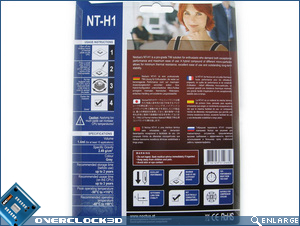 Noctua's NT-H1 comes professionally and thoughtfully packaged, just as we'd expect it to. 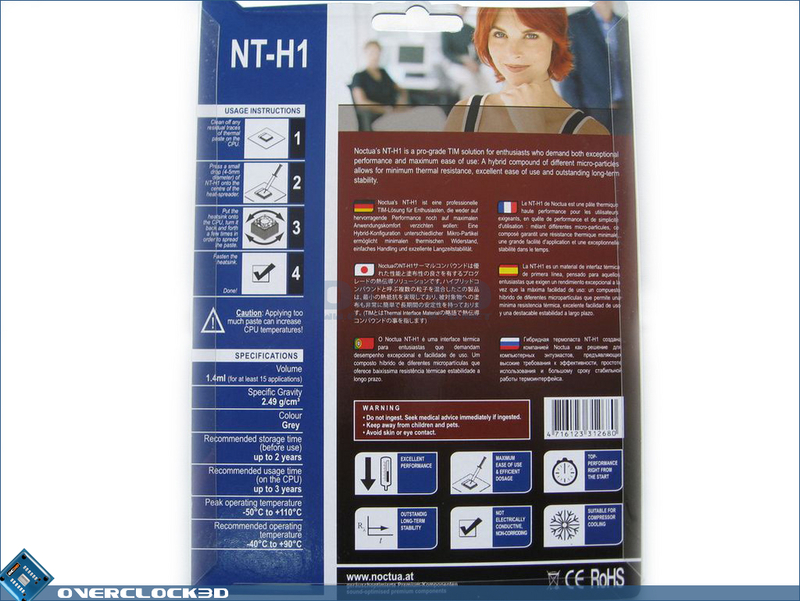 The packaging provides a plethora of technical information and details on the rear and the front shows off the tube of thermal paste well in the typical brown and blue Noctua theme. 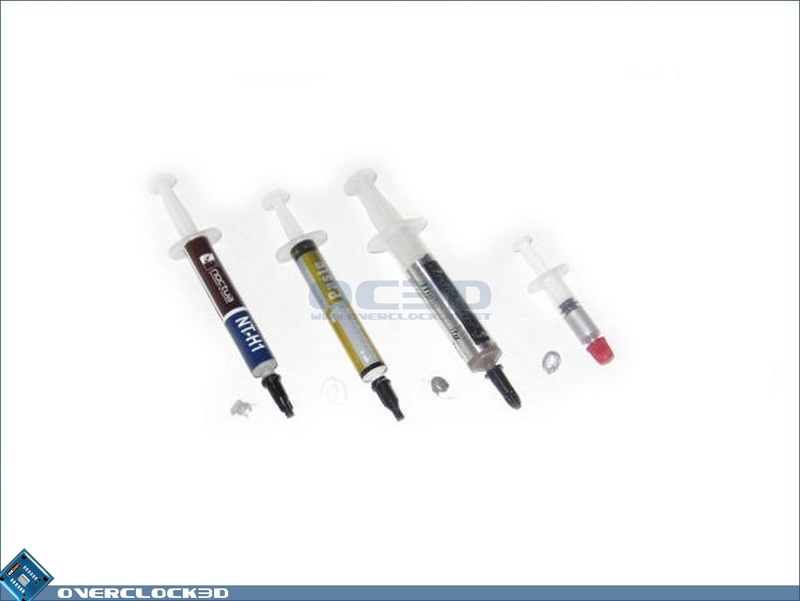 While most typical thermal greases use silicon grease as a base medium, the new breed of thermal greases like Noctua's NT-H1 and Tuniq's TX-2 can be significantly different. I have decided to use 3 other thermal greases that I had kicking around at home to reinforce this further. 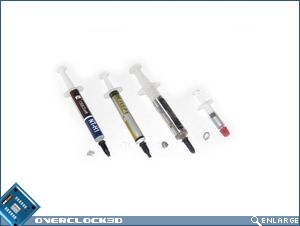 Pictured below are: Noctua's NT-H1; Thermalright grease; Arctic Silver 5, and XSPC's thermal grease. 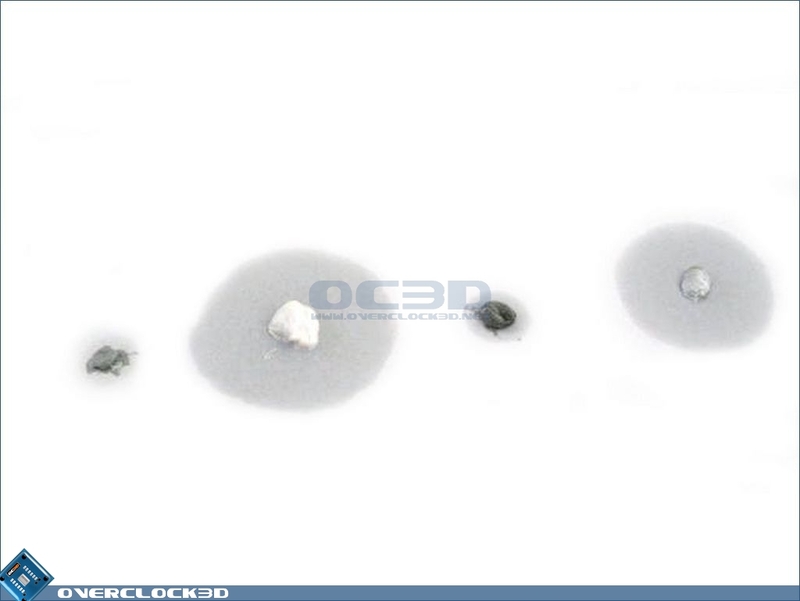 Ceramic based thermal greases which can usually be identified by their white appearance tend to be very easy to spread, but over time can tend to leech a 'watery' type of fluid if left on the shelf. Metal-based thermal greases like AS5 and the XSPC thermal grease contain metal particles (usually silver), and can be a little viscous which may make application a little tricky when trying to get a consistent spread of grease. In my experience, metal-based greases can tend to dry out a little over time when left on the shelf. 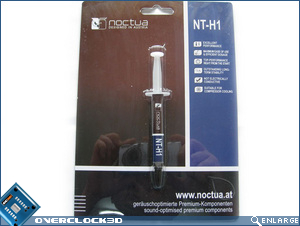 I'm not 100% sure what the makeup of Noctua's NT-H1 is but it's probably the easiest to handle and apply straight out of the tube of the 4 syringes shown above. In a little test I placed 4 small dobs of the thermal grease on a sheet of A4 copy paper and left them in the open air over night. 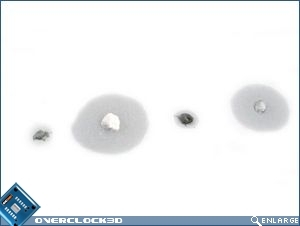 In the image above you can see the end result. 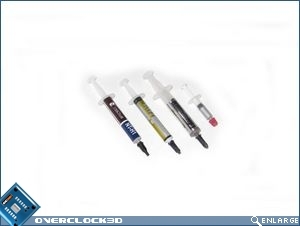 Both the Thermalright (second from left) and XSPC (far right) suffered from a major loss of their binding agent. They had also dried out quite significantly as a result. The Noctua NT-H1 ( far left) and AS5 (second in from right) on the other hand managed to keep the loss to a minimum. If you look closely, the NT-H1 actually experiences the least amount of loss when compared to AS5. 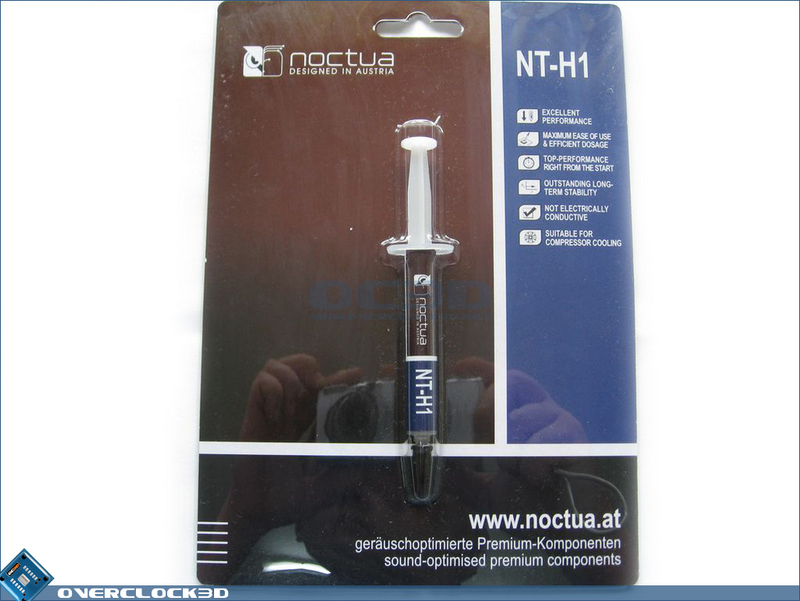 One could hypothesise that this may be an indicator of some sort as to how the thermal pastes would perform over time, and that the Noctua NT-H1 may be the most stable and consistent thermal grease of those tested.